Pick the best blender for you! There are two things to consider before purchasing the best blender for you. First, what is your purpose for purchasing a new blender? Second, how much can you afford for a new blender? What might be the best blender for me just might not be for you. I use my blender at least 3-5 times a day. My blender makes delicious fruit sorbets and nut milk shakes to replace my cravings for unhealthy snacks. You might want a blender for other purposes. Think over these questions before you make a mad rush to purchase a blender. Before you go out shopping through all of the different blenders, there are some things that you need to consider. - What do you want to make and how often you will be making it? Do you want a smoothie blended up like one you get from Jamba Juice or Orange Julius? Will you use your blender more than once a week? - How long do you want your blender to last? This of course depends on how much you use it. Would you like to pass it down to your children or grandchildren? - How big of batches do you want to make at one time? Do you have to blend for your family or friends? - How silky do you want your smoothies to be? Do you want your blender drink recipes without the frozen fruit chunks? Would you like to make creamy chocolate nut smoothies? If you are only going to blending for holidays and special occasions, you might just want to get a basic blender. But if you are or inspire to be a smoothie enthusiast, I would highly recommend a higher end blender. It just wouldn’t make sense for you to purchase a low quality blender, when you would be required to replace it within months. Plus, you will not be impressed with the smoothies that a cheap blender will provide. If you are using the blender just for yourself, you can get away with a smaller container. On the other hand, if you get a small container and you have a several mouths that crave smoothies, you will be making several batches of smoothies. That will wear you out and take a toll on your blender. There is a large range of prices on blenders. You can fork out anywhere from $40 to thousands. Most of the blenders for home use usually top off at $400. I understand that people have a hard time paying a little bit more for a higher quality blender. But if you go to Starbucks or Jamba Juice three times per week, you spend almost $800 in a year! Buying a $400 dollar blender can save money within 6 months. Another plus of blending at home is that you know exactly what is in your smoothie! No mysterious powders, refined sugar and syrups! And you do not have to pay 75 cents for a 1 tsp of flaxseed. It is much cheaper to buy your own seeds. 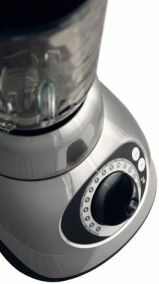 When shopping for your blender, keep in mind that higher price does not mean better blender. That is usually the way to rate blenders, but there are some high priced blenders that should be classified at a lower level. Have an idea of what kind of blender you want? Great! Now that you have an idea of the purpose and price for your blender, I can show you some blenders that just might fit your needs.